“Robust chorus” shines in Semele! Check out this Seattle Times review about last weekend’s stunning production of Handel’s Baroque opera Semele! There is much cause for celebration in the success of this collaboration between the choir and voice divisions at UW and Pacific MusicWorks! The chorus consisted of members of Chamber Singers, UW Chorale, Men’s Glee and Recital Choir. Next year’s production will be Magic Flute by Mozart- tune back for more details soon! This entry was posted in Collaboration, Opera, press on May 19, 2014 by wyersg. 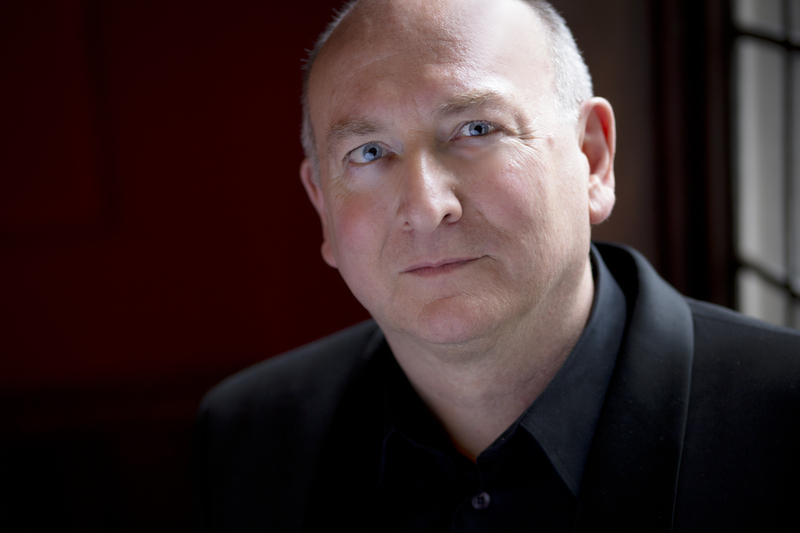 UW choirs and voice will collaborate in Baroque production with Stephen Stubbs next year! The University of Washington School of Music gains new expertise in early music with the appointment of lutenist and baroque opera specialist Stephen Stubbs to the School of Music faculty. Stubbs, artistic director of Seattle’s Pacific MusicWorks, joins the School of Music faculty in fall 2013 as a senior artist in residence and makes his public debut at the UW in May 2014 as artistic director and conductor of a Pacific MusicWorks and School of Music co-production of Handel’s 1743 opera Semele. A Seattle native who studied composition, piano, and harpsichord at the University of Washington, Stubbs gained international prominence as an opera director and lutenist during a 30-year career in Europe. Since his return to Seattle in 2006, he has made his mark as a musical director, guest conductor, and founder of organizations devoted to the study and production of baroque opera and oratorio. His first venture in that direction was the founding of the Accademia d’Amore, a summer institute for pre-professional singers and musicians training in baroque style and stagecraft. In 2008, he founded Seattle’s Pacific MusicWorks, a production company focused primarily on presenting top-quality performances of early music with a contemporary voice. The organization also embraces an educational dictate to train young professional singers and musicians in the art of 17th and 18th century music. Stubbs will apply his expertise in that area at the UW during the 2013-14 academic year, preparing School of Music students in voice and instrumental performance to perform side by side with professional musicians and opera singers in the Semele production, set for May 16-18, 2014 at Meany Theater. Along with his leadership of Pacific MusicWorks, Stubbs is in demand internationally as a guest conductor and artistic director. As a guest conductor he has led performances of Gluck’s Orfeo and Handel’s Giulio Cesare in Egitto in Bilbao, Spain, and Monteverdi’s Orfeo at Amsterdam’s Netherlands Opera. Following his successful debut conducting the Seattle Symphony Orchestra in 2011, he was invited back in 2012 to conduct the Symphony’s performances ofMessiah. Since 1997, he has served as co-director of the award-winning Boston Early Music Festival opera. This entry was posted in Artist in Residence, Faculty, Opera on May 7, 2013 by wyersg.